Experienced Knocked Out Teeth? We Can Help! 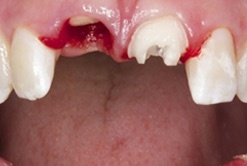 Unfortunately accidents happen and sometimes this can result in mouth trauma or even knocked out teeth. This can occur from an unexpected blow to the mouth, a fall, or even from playing contact sports, especially when not wearing a mouth guard. 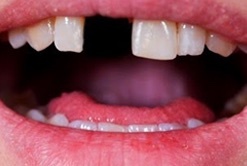 However if you act quickly, there is often a chance that the knocked out tooth can be saved; But Only if you come and see us as quickly, within 30 minutes if possible, as this is a dental emergency. 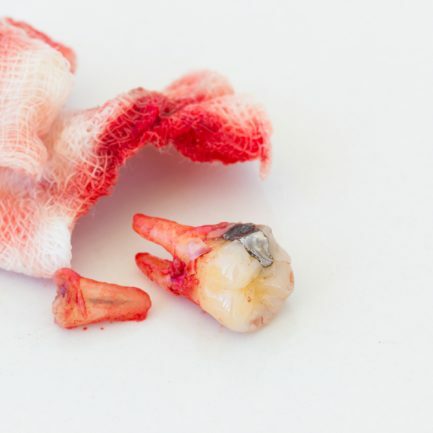 What should you do if you’ve experienced knocked out teeth? Make sure you hold it by the crown of the tooth when handling or picking it up; and try to avoid touching the root of the tooth to help minimise any further damage. If the tooth is dirty, then very gently rinse it, if possible in either milk or water. Do not try to scrub the tooth or dry it afterwards. Always try to carefully put the tooth straight back into the socket in your mouth if possible. It’s also important that the tooth remains moist and doesn’t dry out. Hold the tooth into position with your fingers, or by gently biting down, and come to see us straight away. If you’re dealing with a child and you cannot reposition the tooth back into the socket due to the risk of them swallowing it, then keep it in a glass of milk or inside your cheek. The most important points are to keep the tooth moist, and come and see us straight away. So what does the treatment for knocked out teeth involve? It all depends on the extent of damage to the knocked out tooth or supporting bone from the accident; or how long the tooth was out of the socket. Sometimes replacing the tooth can be simple and other times more complicated. We’ll first need to check it has been positioned back properly, adjust if necessary, and take an X-ray. Root canal treatment may be required, or we may splint the injured tooth to the teeth either side to hold it in place while the root reattaches to the bone. The worst case scenario is that the tooth cannot be saved. What if the knocked out tooth cannot be saved? If you couldn’t find your tooth or it can’t be saved, don’t worry; you still have other options. To fill the gap you could have a denture, bridge, or implant fitted. This will restore your confidence, especially if the affected tooth is at the front of your mouth. If this is the case, Dr Karim and the team will discuss these options with you after treatment. Remember if you play contact sports then always wear a mouth guard and if you do suffer a knocked out tooth, make sure you follow the advice above and contact us immediately on 0161 485 7376. Patients can rest assured that with our experienced team, they’re in the best possible hands. Cracked teeth can be quite a common occurrence for patients. It’s usually caused by eating something crunchy or hard and more often than not, the first thing you hear is a tell-tale crack. As a result you may notice that you have a cracked tooth and are in need of cracked teeth treatment. A tooth that has a crack which goes vertically from the chewing surface down towards the root – Diagnosing this early is important so that we have the best chance of saving the tooth to stop the crack spreading further into the root. A split tooth – This usually happens because a cracked tooth has been left too long and an obvious split now runs down the root. In some instances the tooth can be separated. If this happens, we aren’t able save the whole tooth, although it may be possible to save a portion of the tooth. In addition there’s a strong chance that you’ll need root canal treatment. A tooth with a vertical root fracture – This means the crack begins in the root of the tooth and runs up towards the chewing surface. This type of crack can be difficult to spot because often it shows little symptoms and is usually only discovered when it becomes infected. Whatever type of cracked tooth you have, don’t ignore it! Instead it’s important to come and see us quickly to prevent the tooth getting worse or infected. Remember, early diagnosis can be key to saving as much of your tooth as possible. Despite the fact that tooth enamel is the strongest tissue in our bodies, it does have its limits and can crack or break. 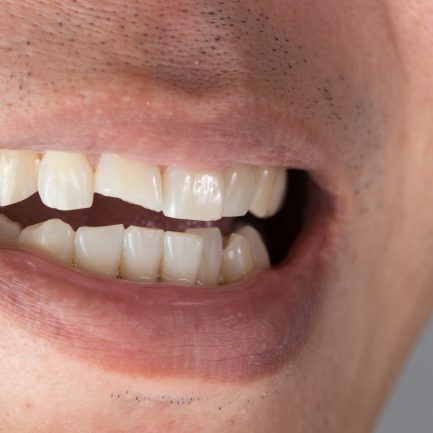 Cracked teeth can be caused by a number of reasons, such as playing contact sports without wearing a bite guard, or an accident that caused an unexpected blow to your mouth. It can also be caused by your diet, such as eating hard foods like boiled sweets and crusty bread. Tooth decay that is left untreated can also cause the teeth to weaken, leaving them susceptible to breaking. Finally, if you grind and clench your teeth during the day or while sleeping, this can also cause them to weaken and crack. So how do I know if I have cracked a tooth? Aside from the obvious tell-tale crack sound, cracked teeth can present many different symptoms. Often you will have a sharp pain on biting down or it might hurt when eating. You may also experience sensitivity with hot or cold temperatures. Initially, it might even be hard to pin point the tooth causing the problem as the pain can sometimes come and go. What about cracked teeth treatment? Treatment for cracked teeth can vary depending on how deep the crack extends, so it really depends on how damaged the tooth is. Treatments can range from repairing the tooth with a filling or, in the case of slight hairline cracks, Dr Karim and the team might consider fitting cosmetic veneers or dental bonding. Alternatively a dental crown may be placed on the tooth to protect it after root canal treatment. If the crack has extended below the gum line, treatment wouldn’t be possible, and extraction and replacement is usually the only solution. As always, it’s important to have regular check-ups so that any problems such as cracked teeth can be detected and treated early, hopefully before you starting experiencing any pain. However if you think you have cracked a tooth and are in need of cracked tooth repair then give us a call now on 0161 485 7376. 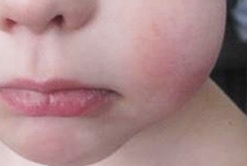 Do you have a swollen face, pain, or constant throbbing? Are you suffering from a tender bite? If so, you might just have a tooth abscess. A dental abscess is caused by an infection inside a tooth or between the gum and tooth. It can develop very quickly, often within 1-3 days from the start of the infection. 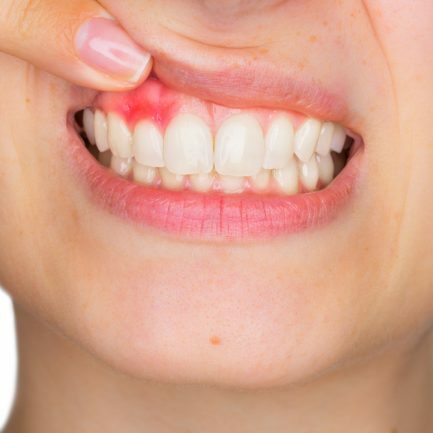 For this reason as soon as you feel any pain or discomfort, it’s important that you come and see us for abscess tooth treatment. Unless treated any discomfort won’t go away. So what causes an abscessed tooth? There are a number of reasons. The most common one is down to advanced tooth decay. A diet high in sugar, such as frequently eating a lot of sweets and drinking fizzy drinks can lead to decay. If left it can eventually cause infection and turn into an abscessed tooth. Other reasons include trauma to the affected tooth from an accident or injury, biting down too hard on something such as a boiled sweet or cherry pit, or a cracked tooth where bacteria has entered. In addition, not following a strict oral hygiene routine at home can also increase the risk of further gum problems and infection. How do I know if I have a tooth abscess? Even if you have been experiencing the above symptoms but then the pain goes away, you’ll still need treatment. It may be that the abscess has burst allowing the infection to drain, but the issue is that it will come back if it’s not treated. If you are experiencing any of the above symptoms, don’t delay. Make sure you book in to see us as soon as possible. We guarantee that you’ll be in safe and capable hands. We can usually see a tooth which has a dental abscess from an examination of your teeth, but we may still carry out a few further tests. These include tapping the tooth lightly to check for pain or pressure, or taking dental x-rays. The good news is that an area of infection can usually be clearly seen on an X-ray and will show up as a dark circle around the root of your tooth. If we determine you have a tooth abscess, we may initially prescribe a course of antibiotics to help fight the infection. We may also help the abscess to drain, which should immediately relieve any pain you might have. In addition, root canal treatment may be advised at a later date once the infection has settled; or the worst case scenario is that you may need to have the tooth extracted. We would also recommend taking over-the-counter painkillers and doing gentle mouthwashes with warm salty water. If you’re worried about a tooth or you’re in pain and suspect a tooth abscess then please contact us on 0161 485 7376, e-mail us, or even book online. Our Emergency Dentist Manchester team are here to get you out of pain and dentally fit, fast!